This is the remains of a medieval building that possible replaced an earlier less substantial chapel. In the centre of the east gable wall are the remains of a square altar base and within the former walls are two stones which are carved with Latin crosses on both faces. 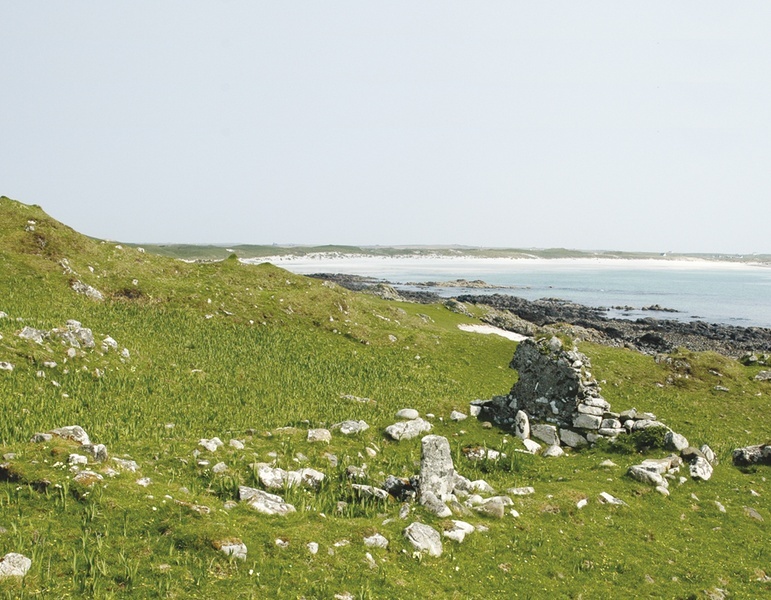 It is believed that St Comgall who travelled with St Columba, dedicated this chapel to St Patrick who never visited Tiree. 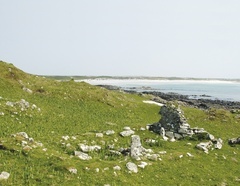 The chapel stands in an enclosure which probably contained four huts and was surrounded by a wall.